Over a third of the cases in family court today involve changing existing agreements regarding support and custody. A separation agreement is a document drafted at a certain point in your relationship, and meant to deal with the situation at that moment. Although a well-drafted agreement will take into account the fact that circumstances will change and will include clauses on how to deal with those changes without going to court, sometimes a couple will be unable to come to a resolution. They may find themselves in court many years after their relationship is over, applying for a variation. There may have been drastic changes in earnings, jobs, careers, or other life circumstances. One or both former spouses may be in new relationships. The children may be older and have needs that cannot be met by current custody and access arrangements, or they may want their custody and access arrangements changed. One parent may have decided to move out of province or out of the country with the children, and apply for custody modification. One or both parents may have decided that the arrangements are not sustainable in the long run. Our Toronto divorce variation lawyers can help ensure that variations respect everyone’s needs and rights. We can also explain your options and likelihood of success in court. In order to get support modification orders, we generally have to show significant changes in your life circumstances and that the changes could not have been reasonably foreseen at the time that the initial orders were made. We can also help you to try to work out solutions that don’t involve going to court. Looking for a Toronto Spousal And Child Support Variation Lawyer? 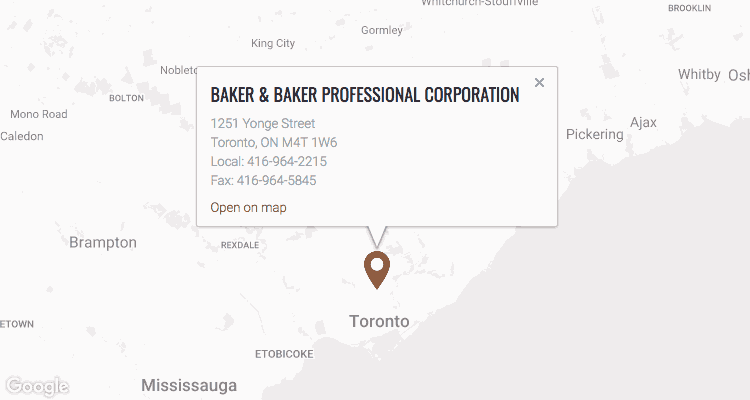 For information on your rights and responsibilities regarding custody, access and support orders, and your chances in applying for or contesting variations in court, contact Baker & Baker at 416-964-2215 or by email to set up a free consultation. If court is unavoidable, we will help you through the process as much as we can.